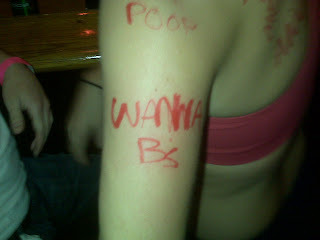 Poop and Wanna B's what else needs to be said. It is out there! The List is real and people are talking. Thanks again to Broderick... The Undercover Wanna B's Watchdog. WANNA B WATCHDOGS!! they will spot you, heard calnan has an ovechkin shirt as reported by the watchdog! !